There is an age-old adage- “use the right tool for the right job.” You can possibly prevent some of the accidents with the footwear specially chosen for your type of work and industry, holding the right properties and with a fit suited for you. 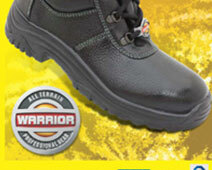 Warrior, from the house of Liberty is a leading manufacturer of safety footwear in India as well as supplier of safety shoes across different parts of the world like Malaysia, Qatar, Singapore etc. to name a few. Safety footwear is an essential part of the personal protective equipment for the worker to ensure safe and healthy feet. Correspondingly, the introduction of the steel toe is the supplementary provision for the front part of the shoes/ boot. 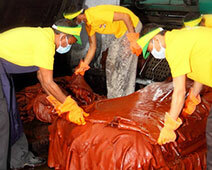 As an addition in the workers safety shoes it protects the feet and helps to prevent injuries. While choosing the right pair of safety shoes it is very important to now certain crucial factors regarding the work environment, type of work etc. Risks assessments are important to accurately identify potential hazards in the workplace. So, choose wisely and protect your feet from workplace injuries.